The second leg of the teapigs real tea tour took place at Quantock View, a picturesque location on the edge of the Quantock Hills. The Quantock View’s converted barn, marquees and beautiful grounds made it a pleasure to be working! We were slighly unfortunate with the weather but this didn’t effect the atmosphere at all! 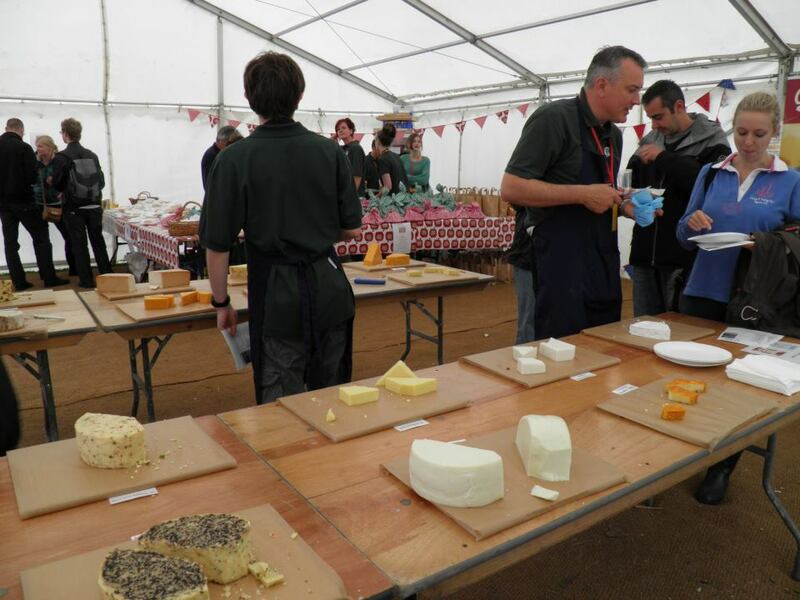 A brilliant turnout and participation in the Cheese Olympics which consisted of Apple Smashing, Cheese Tossing, Cheese Shy and the Relay. 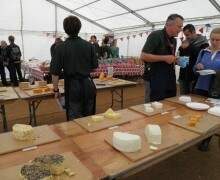 With 18 different ciders and 23 varieties of cheese (plus 22 varieties of tea) there was enough to keep everyone busy! The live bands played throughout the day and provided the beat for some certainly unique dance moves. Alongside our usual array of snacks there were also scones and cream which when combined with a teapigs brew were an unbeatable combination. Our favourite cider (Lilley’s Sunset) matched with our favourite cheese (Scrumpy cheddar) was a match made in heaven! The conversations certainly got more interesting as the night progressed, including a barrage of questions such as “why the name peatigs? !” – a very entertaining evening!